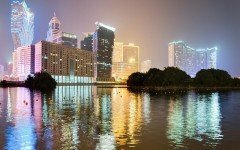 The World Poker Tour recently announced two events in Asia this year, WPT Japan and WPT Korea. Both events will take place in September. 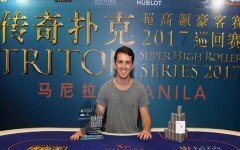 “The World Poker Tour is thrilled to announce WPT Japan and WPT Korea as part of our 2018 schedule,” Adam Pliska, CEO of the World Poker Tour, said. 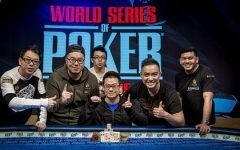 This is great news for the Asian poker community that feared the crackdown on online poker in China would impact WPT’s plans in Asia with the company owned by China based Ourgame International Holdings. WPT Japan from September 15 – 17 Returning from a very successful inaugural event in November 2017, the second edition of WPT Japan takes place from September 15 -17 in Tokyo. This event will once again be in partnership with the Japan Poker Union Corporation. Buy-in to the Main Event is JPY 30,000. 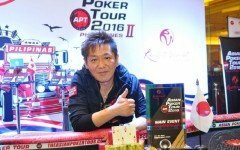 Last year, the inaugural event drew in 460 entries with the champion, Eiji Kimura, winning the WPT $10,000 Multi-Passport. Additionally, WPT Japan will be hosting opening stages to the WPT Korea Main Event. Players that qualify will make their way to Paradise City, Incheon for Day 2 on September 23. At the close of WPT Japan opens WPT Korea. This seven-day event takes place from September 18 – 24 at Paradise City, Incheon, South Korea. This will be the WPT’s first visit to Incheon with their previous stops held in Jeju Island. The top attraction will of course be the Main Event which runs on the last four days, September 21- 24. Buy-in is KRW 1.1 Million (~US$1,000). Side events will also be offered including a High Roller event and the first-ever WPT Teams Event created by Danny McDonagh, WPT Live Events Specialist. This unique event takes place from September 19 – 21. Teams will compete in up to six poker game variations of No Limit Hold’em and Pot Limit Omaha. The winning team will each receive a seat to the Main Event. The event is capped at 16 teams with only one team allowed per country. Each team consists of 4 players. 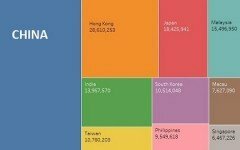 Buy-in per team is US$5,000.